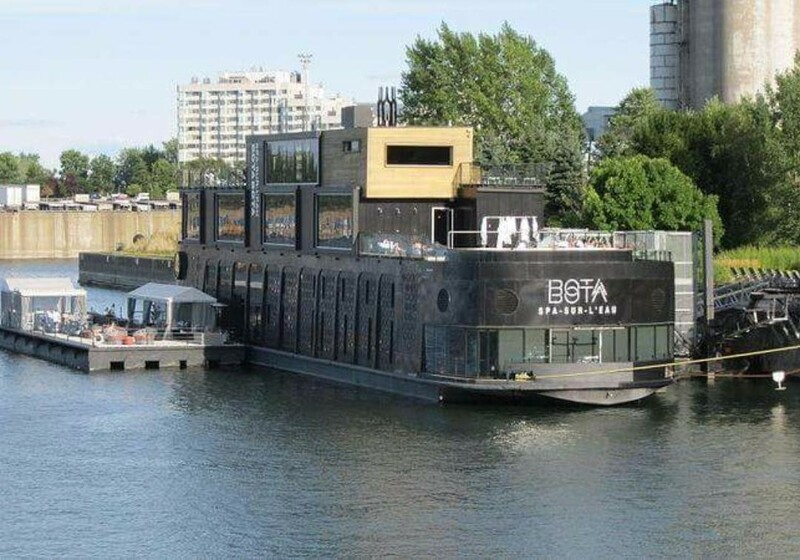 A historic ferry turned into a "floating spa." Enjoy a beautiful view of Montreal while getting pampered or relaxing in the hot tub. #oldport #montreal #spa Photo credit: Jeangagne via Wikipedia Commons.